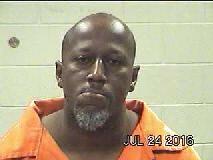 Corrigan Man Sentenced to 10 Years Prison, LIVINGSTON, May 30, 2017 - 44 year old David Ali White of Corrigan was sentenced to 10 years in prison today by 411th District Judge Kaycee Jones for the Second Degree Felony offense of Retaliation Against a Peace Officer following a contested sentencing hearing. The charge stemmed from a 2016 incident where White had made multiple threats to kill a Corrigan police officer as well as the officer's family as the officer was attempting to place White under arrest following a disturbance. "Our... office takes threats against peace officers very seriously and we appreciate the judge's decision in this case," stated Polk County District Attorney Lee Hon. "Hopefully, this case and the judge's decision will inform others that it's never okay to threaten or abuse officers who are just trying to do their job to insure the safety of the law abiding public," Hon added.